Launch of Tork PeakServe®. The first major innovation in the hand drying market in decades enables a better washroom flow for high-traffic venues. 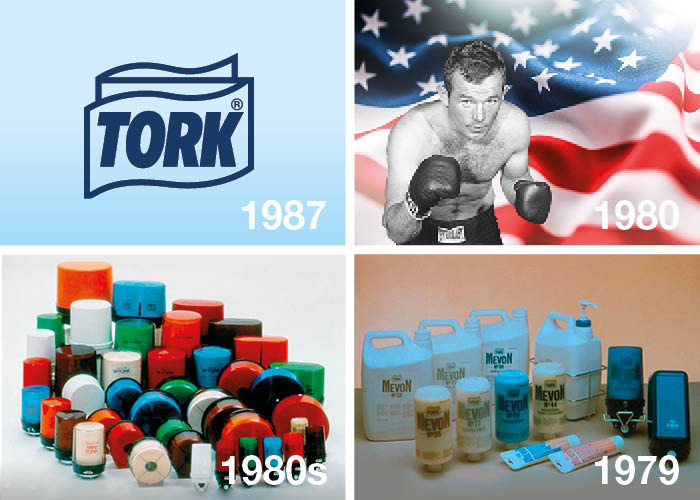 Learn more about Tork PeakServe. Launch of Tork PaperCircle®. The world’s first recycling service for used paper hand towels. 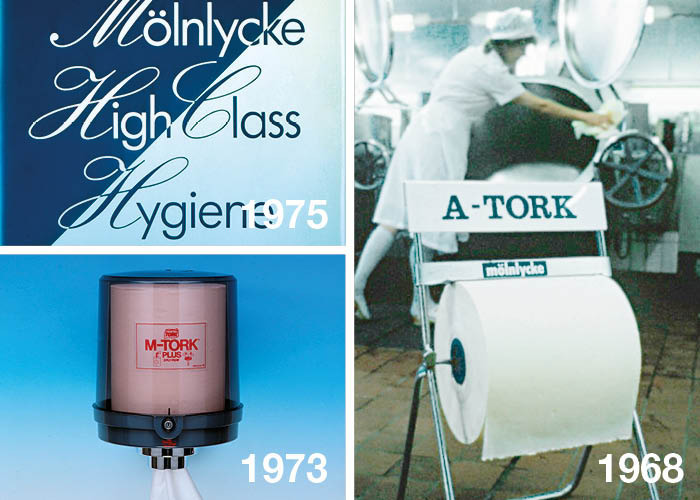 Learn more about Tork PaperCircle. Launch of Tork EasyCube®. 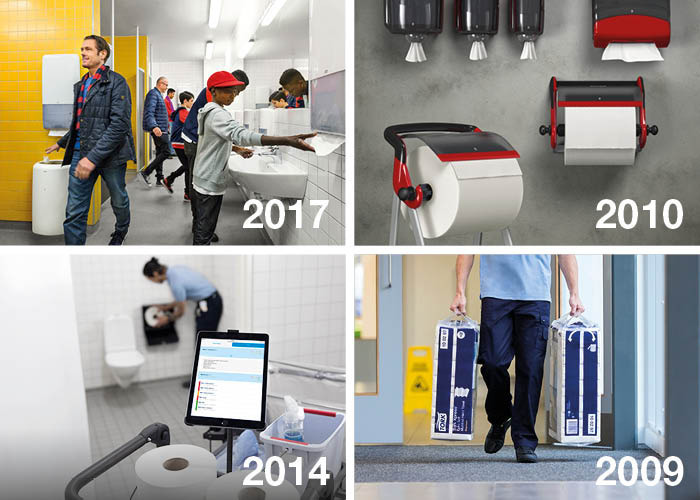 Connected dispensers let cleaners and facility managers know what's needed, when and where – changing the logic of cleaning. Learn more about Tork EasyCube. Launch of Tork Performance dispenser line. The first designed dispenser range for paper wipers and cleaning cloths, helping workers maintain a professional and organised shop floor. Launch of Tork Easy Handling®. The ergonomic packaging system simplifies opening, transportation and disposal, and sets a new industry standard. Mölnlycke acquires PWA, and with it comes four brands: Apura, Hotel Exclusive, MAP and Amandi. 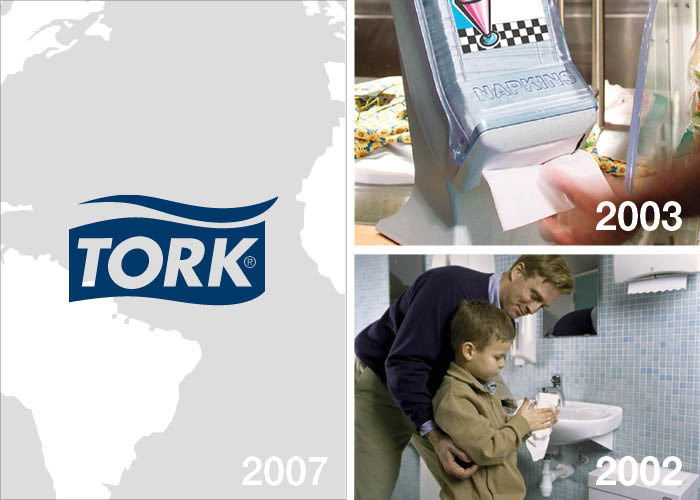 It’s decided to prioritise Tork as the leading professional hygiene brand. Launch of the Box 80 dispenser line. 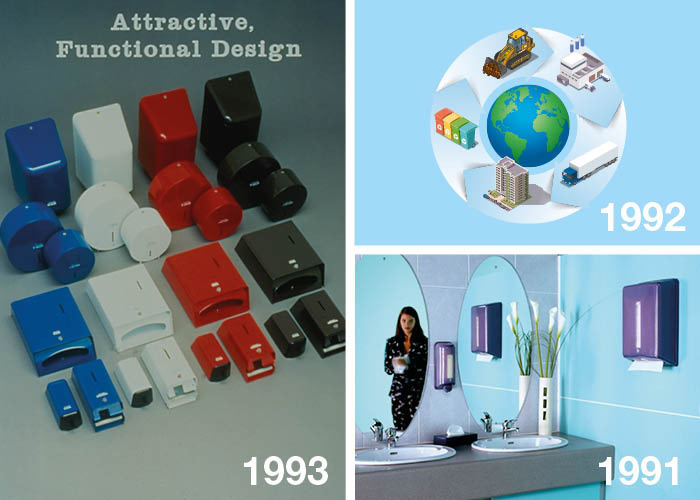 A complete range of dispensers in different colour schemes is a first in the market. The dispenser is made of translucent plastic, helping customers refill when needed. The SCA group acquires Mölnlycke, but keeps the Mölnlycke name and starts to cooperate on production techniques, R&D and fibre sourcing. Launch of the M-Box dispenser based on the coreless centrefeed system. It would become the most used dispenser in professional hygiene for decades.